It was silly, funny, sometimes crude, and sometimes evangelistic. The laughs of the audience abruptly fell silent at mentions of God and the sacrificial shedding of blood. That’s because actor Chris Pratt laced his 2018 MTV Awards acceptance speech with references to faith and grace. He unveiled his communication strategy in his fourth point: “When giving a dog medicine, put the medicine in a little piece of hamburger, they won’t even know they’re eating medicine.” Pratt’s speech was a Trojan Horse for the grace of God. Though it wasn’t an exhaustive guide for preaching the gospel, it was a good example of what it looks like to, as the apostle Paul says, seek an “open door for the gospel” that we might make “the best use of time” with outsiders (Col. 4:3–5). Who would have thought the MTV Awards Show would present a winsome example for talking about God? Thomas Nelson (2018). 256 pp. $24.99. USA Today bestselling author Anthony DeStefano is tired of playing nice. After years of responding patiently and agreeably to the pseudo-intellectual arguments and tactics of today’s militant atheists, he’s had enough. In this entertaining, no-holds-barred retort to atheism and its proponents, DeStefano reveals the intellectual bankruptcy at atheism’s core and equips believers to respond to its hollow arguments. 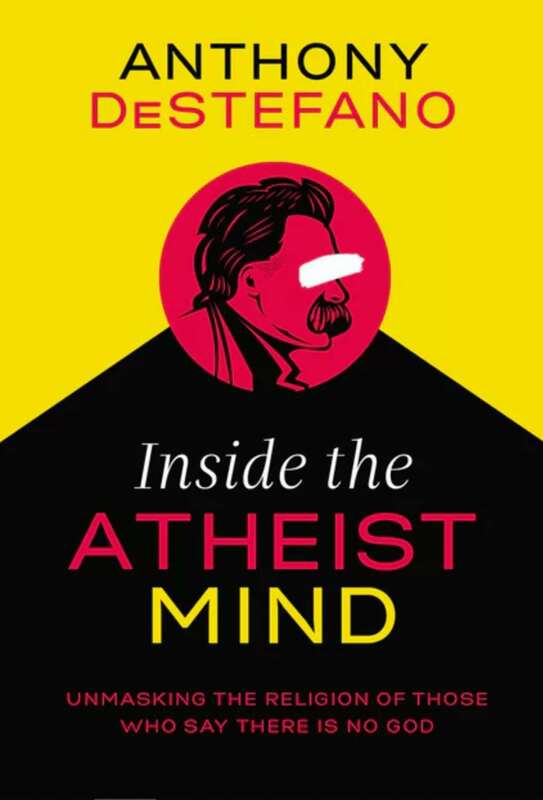 The new book Inside the Atheist Mind: Unmasking the Religion of Those Who Say There Is No God by Anthony DeStefano offers an alternative approach. If you can’t win friends and influence people, you can, as DeStefano states, “crush them.” His focus is to expose the agenda of the “obnoxious and aggressive” new atheists. To begin with, it’s clear there are times in the Bible where a firm word of warning and judgment is leveled at some party without apology. God owes no one a rosy explanation. The prophets didn’t show up with flowers and chocolates before declaring, “Thus says the Lord.” It’s also obvious reading the Gospels that there are times when Jesus doesn’t mince words with his adversaries. But, some might contest, in the Sermon on the Mount, Jesus told us not to give to dogs what is holy or to cast our pearls before pigs (Matt. 7:6). Many scholars see this as a reference to sharing the blessings of the faith with those who despise it; some apply this to repeatedly sharing the gospel with those who reject it. After all, Jesus told the disciples as he sent them out to preach, if a village was unresponsive to the gospel they should shake the dust off their feet and move on (Matt. 10:14). While we shouldn’t cast our pearls before swine, we also shouldn’t cover our pearls in mud and shoot them at our intellectual enemies. Wisdom is certainly required. The apostles followed the leading of the Spirit to discern when to move on to a different city, like Paul did when he escaped at night from Damascus (Acts 9:25), and when to stand their ground, like Paul did in Rome (2 Tim. 4:6–7). Moreover, Jesus taught us to “love your enemies and pray for those who persecute you,” showing us that if we only love our brothers—for our purposes, those who agree with us—then we aren’t doing any better than tax collectors or Gentiles (Matt. 5:44–48). In short, God expects more from us. And while we shouldn’t cast our pearls before swine, we also shouldn’t cover our pearls in mud and shoot them at our intellectual enemies. Yes, there are some buried treasures in DeStafano’s book. There are some apologetic arguments that can and should be lifted and repurposed for use in evangelistic conversations. His tone, however, shouldn’t be imitated. Though not pointed out in the book, Hitchens actually did consider this passage. On his deathbed Hitchens read hundreds of pages from Chesterton’s better-known works. In fact, the last essay Hitchens wrote was about G. K. Chesterton. Christopher Hitchens died on December 15, 2011. His essay on Chesterton was published in The Atlantic a couple months later in March 2012. This illustrates the nature of belief and unbelief, doesn’t it? We never know where someone is on the inside, in their private world filled with unspoken questions, concerns, and doubts. We can do much harm working from assumptions, caricatures, and soundbites. While we should try to get inside the atheist mind to better understand our unbelieving neighbors, as Christians we should do so with the mind of Christ, so that we might season our words with salt and speak the truth in love. And, if necessary, mix it with a little bit of hamburger meat.